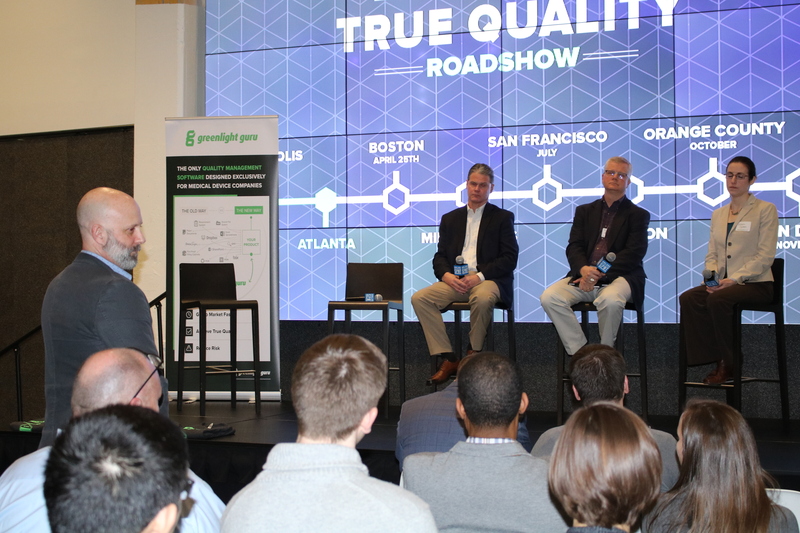 We’re back from the peach state and an evening at The Gathering Spot in Atlanta for The Greenlight Guru True Quality Roadshow presented by GCMI and Rook Quality Systems. Here's a recap of the event. Three seasoned panelists, a pair of industry experts, and Atlanta’s medical device network came together for an impactful, comprehensive discussion around current quality and regulatory changes taking place in the medical device industry. 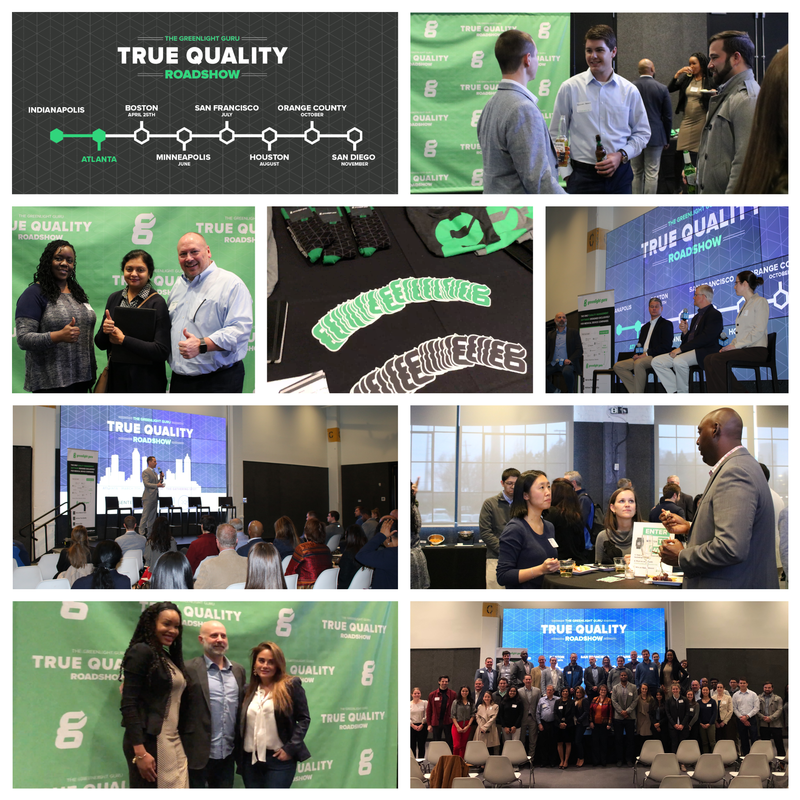 We figured there were some guests who couldn’t attend, so we’ve compiled some key observations, lessons, and insights from the evening. 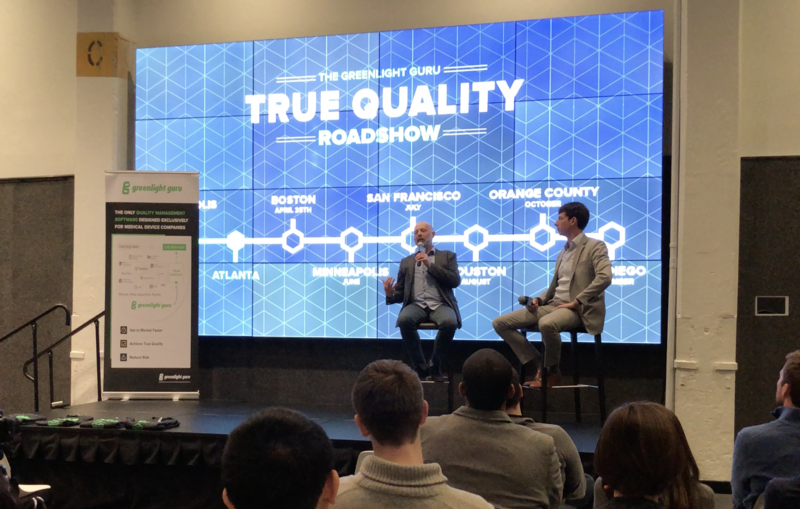 And of course, you can still join us at The Greenlight Guru True Quality Roadshow: we have six dates remaining in 2019, so see if we’re coming to your city. An interactive panel featuring Ronald Bracken, Ward Broom, and Sarah Cohen moderated by Jon Speer. A quality system should be an asset. Companies shouldn’t look it as a hindrance, but rather as a tool to help you best manage your quality processes. If you have not started the transition process for the new EU MDR, you’re running out of time if you plan to sell your product in the European market after May 2020. We're rapidly approaching the anniversary date of ISO 13485:2016. After that, there's no such thing as the old version. That by itself is huge. Regulations don’t exist to serve any self-serving needs of FDA, they exist so that device makers create a good quality products. 1) Who am I making it for? 2) What is its intended purpose? 3) How will I bring this product to market? Know how to easily explain, if in fact true, how your medical device company has competitive differentiation. Otherwise, it’s probably not a business that will succeed in the long run. Medical device standards and the associated processes can be pretty overwhelming, but if you implement proper systems early and take your time doing things the right way, it will be worth it in the long run. One of the things you have to do when you get into this business is start from the very bottom and say, “These are the things that we have to do that are non-negotiable." Well, Greenlight Guru gave me all the non-negotiables. A highlight from the evening was the educational conversation between Kyle Rose and Jon Speer. Their industry expertise lead a chat packed with personal anecdotes, an appreciation for True Quality, and predictions on the future of medical device quality and regulatory. The engaged audience asked powerful questions, shared laughs, and smiled for a group picture to wrap up the night. We’re seeing more quality and regulatory changes right now than we have in the past 25 years. We’re talking ISO 13485:2016, MDSAP and Health Canada, EU MDR, changes to ISO 14971, FDA moving from 21 CFR Part 820 to ISO 13485: any one of them alone is a monster, the fact everything is happening at once is an even bigger story. In the past, it was easier to bring products to market outside of the U.S. At one point, FDA was ranked 42nd in the world for clearing some medical devices. The agency has since turned its act around and in some categories, they’re now sitting in 1st place for approvals. As a result, other countries are now lagging. There is only one notified body who has been through all the necessary transition processes for EU MDR and this particular firm does not currently have the capacity to take on any new clients. Jon Speer predicts that at this rate, there’s not going to be enough capacity as a whole to handle the needs of every medical device company at stake of losing their CE Markings. Jon sees FDA’s Case for Quality as one of the most refreshing programs coming from a regulatory body in all of his years in the industry. He encourages everyone to look out for exciting things to come and predicts this initiative is on the verge of really taking off. We want you to love quality, design controls, and CAPA. I know that sounds crazy, but you are all passionate about what you do and we want to give you solutions that just flow into how you run your business. We want to take care of that check box for compliance so that you can be True Quality professionals. 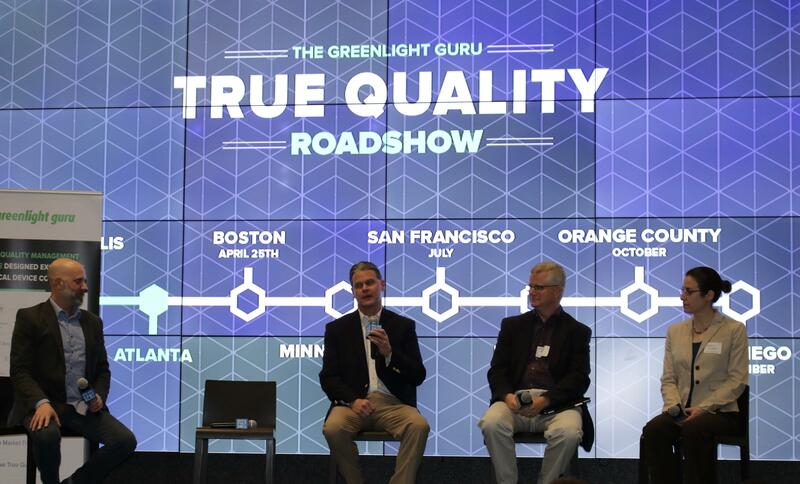 And that's all for The Greenlight Guru True Quality Roadshow in Atlanta. We hope to see you at our next event!